Joon was born in 1995 in Northern Vietnam, and we first saw her beautiful smile at a maternity hospital in Haiphong when she was one month old, when she joined our family and became part of our lives. Joon grew up around the world with her traveling family; first in Laos, then in Bangkok, New York, Vienna, and most recently back in France. She is bi-lingual in French and English, and finished her secondary studies last year at the French ‘high school’ in Ferney-Voltaire near the Swiss border, where she earned her French Science baccalaureate with honors. She started her university studies in sciences and physics last September in Geneva. Last May, Joon was feeling tired and sick. The doctor didn’t find anything wrong, but ordered blood tests. The results came that very afternoon, and Joon was immediately hospitalized at the university hospital in Geneva. Her lymphoblast level was at 137 000, while patients are considered at risk starting with levels of 50 000. Joon has acute lymphoblastic leukemia –Philadelphia Chromosome positive. Joon immediately started chemotherapy. She is in a sterile room, but some visitors are allowed. The chemotherapy makes her quite sick: nausea and vomiting, and muscular pain in her face and body. Thankfully, she is able to tolerate a medication that helps with these symptoms. She spends her few free hours in the afternoon watching movies or talking to visitors. Assessment and two weeks of recovery during which she will be able to leave the hospital if her immune system allows it. A thirty-day cycle of “heavy” treatment. When this second cycle finishes, she will have to undergo a stem cell transplant. Because of the genetic mutation—the Philadelphia chromosome—she has no chance of recovering without a transplant after this second round of chemotherapy. This transplant needs to take place in December. We must find a donor whose blood stem cells are compatible with Joon’s. 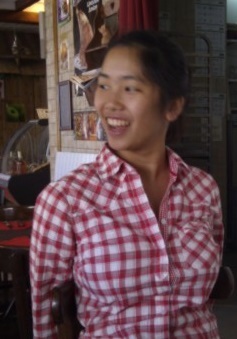 Since Joon is an adopted Vietnamese child, there are no compatible donors from within her adoptive family. (The probability of compatibility between random individuals is very rare: one chance in a million.) To find a compatible donor for Joon, we must find a donor whose genetic profile is as close as possible to hers. For this reason, the best chance of finding a match is from within the same ethnic group as Joon. Unfortunately, there are very few Asian (and in particular Vietnamese) potential donors enrolled in the international stem cell donor registry, although sadly, there is a high incidence of Joon’s disease in this community. How to help us and how to help them? Sign up on the national register of your country to become a potential donor, by contacting your closest donation agency (see links on the right column to find your nearest center). Procedures can vary from country to country. Your registration will help Joon if we are lucky enough that you two are compatible. You might also be helping another person of the same ethnic group who has a similar condition. Spread the message! Especially in Asian and Vietnamese communities. The more people who register, the better the chance to find a match for Joon. Your message might be the one that inspires the person who is a perfect match for Joon to register. Signing up on the national register: who and how? Anyone and everyone can volunteer to become a donor and thus give a patient a better chance of recovery. Wherever you are in the world, your donation can save a patient no matter where they are. Your stem cells can be rapidly transported anywhere in the world. Preliminary stage (points 1-5): Information and registration (see links on the side bar). Selection stage (points 6-9): If and only if there is a match. Today, a match is found for about one in a thousand persons registered. There are two types of donations, stem cell transplant and bone marrow transplant, and procedures and practices vary by country. Provide blood stem cells through a process called ‘apheresis’: A few days prior to the procedure, the donor receives several injections to increase the production of bone marrow stem cells. The necessary cells are then extracted from the bloodstream through a cell-separating machine during a four-hour session. Only one or sometimes two sessions are necessary to retrieve sufficient cells in the bloodstream. The sessions take place in transfusion centers. Bone marrow sample: More rarely, samples must be retrieved surgically. Bone marrow is extracted with a syringe from the pelvic bone. The operation is done under general anesthesia and thus takes place in a hospital. Risks associated with these procedures are minimal. Please see the sites at right for further details and statistics. there is no cost for the donor, and no payments from the recipient to the donor. Blood stem cell donations helps treat and heal many blood illnesses such as leukemia. You can find inspiring testimonies and stories from both donors and recipients on sites such as Be the Match and A3M. Thank you for your time and support for Joon and for others afflicted by leukemia and other blood sicknesses. My name is Van. I’m an university student. Now, I’m living Da Nang city of Viet Nam. My age is as same as your daughter. After having known about Joon and her desease, I’m very sad and want to help. Please, take my cell. Tell me what I can do to help. I’ll try my best. Please, send my “Hi” to Joon. 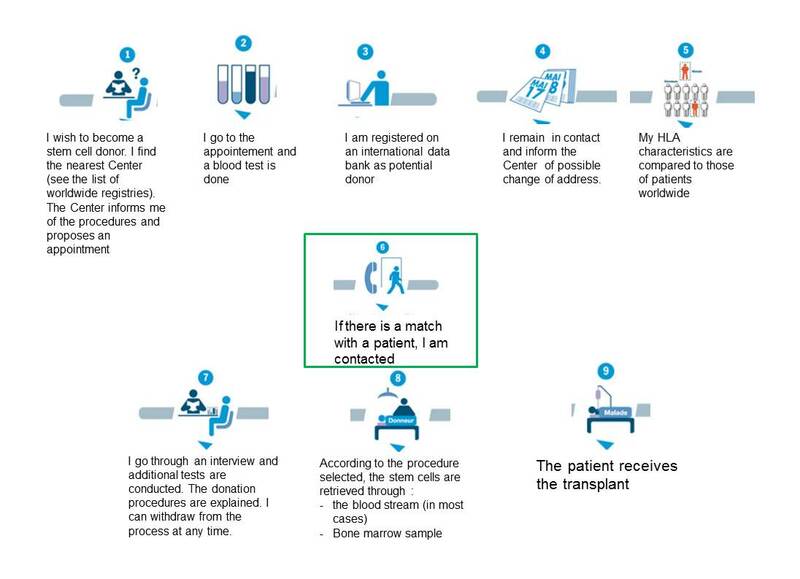 The difficulty we face is that Viet Nam is not a participating country of the Bone Marrow Donors Worldwide, which means that the Center in Switzerland coordinating the search cannot tap into the profiles of donors in Viet Nam. Therefore, it is more likely to find a match for Joon among Vietnamese living abroad. Nevertheless, you can help other Vietnamese patients like Joon in your country. To do so, you can contact one of the hospitals/centers that we have listed on the page mentioned above. DKMS has launched a campaign throughout its network to recruit stem cell donors for Joon. A dedicated registration page has been established on their web sites. If you live in the US, a similar page is also available on the Web site of DMKS Americas (Delete Blood Cancer), established in the US to increase and diversify the donor registry. Through these links, it takes only five minutes to register as a potential donor. Hi. I am a Vietnamese, living and working in Canberra Australia. I already contact to Australian Bone Marrow Donor however it takes time cause I live in Canberra. I wish I could help. Thanks for considering to register as a donor of stem cells. I am not sure to understand why it is difficult for you to do so in Canberra. If you are a resident in Australia, you should be able to register in this country. You may want to call the Australian Red Cross Blood Service on 13 14 95 to get more information and hopefully make an appointment in the nearest centre. You can also help by spreading the word and encourage your friends to become donors!